Today, July 6th, is the First Friday of July, 2007. It is promise number twelve that is the basis for the Nine First Fridays. consecrated to honoring His Sacred Heart. As the object of this devotion is to make our Savior Jesus Christ ardently and perfectly loved, and to make reparation for the outrages offered to Him in the past, as well as for those which he daily receives in the Blessed Eucharist, Jesus Christ merits our love at all times, but alas! He is despised and outraged in the Sacrament of His love at all times, and so people should at all times make reparation to Him. We should then adore Jesus Christ in this august Sacrament, make a fervent act of love to Jesus in the tabernacle, thank Him for having instituted this Mystery of love, express our sorrow at seeing Him so abandoned, and resolve to visit Him as soon as possible and love Him unceasingly. Attendance at the Holy Sacrifice of the Mass is assuredly the best means of honoring and loving the adorable Heart of Jesus. To communicate worthily on the Nine Consecutive First Fridays, it is incumbent on those practicing the devotion to be in a state of grace at the time of communicating. And for most of us, that means making a full and complete worthy confession and carrying out the penance imposed just before Mass. 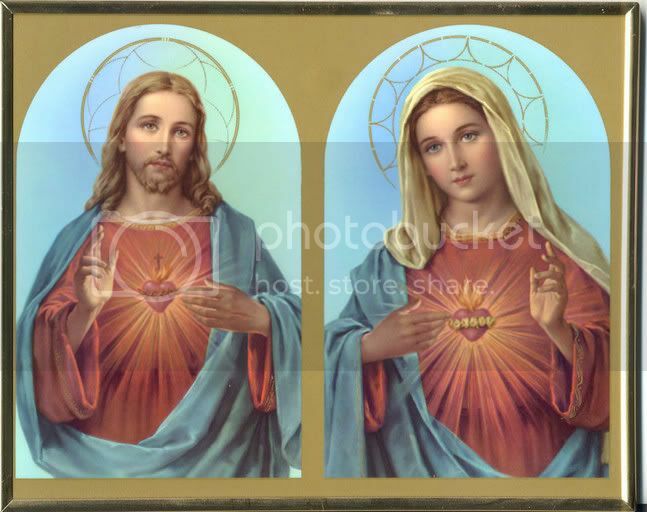 Most Sacred Heart of Jesus, I consecrate myself to Thy Most Sacred Heart. Take possession of my whole being; transform me into Thyself. Make my hands Thy hands, my feet Thy feet, my heart Thy heart. Let me see with Thine eyes, listen with Thine ears, speak with Thy lips, love with Thy Heart, understand with Thy mind, serve with Thy will, and be dedicated with my whole being. Make me Thy other self. Most Sacred Heart of Jesus, send me Thy Holy Ghost to teach me to love Thee and to live through thee, with Thee, in Thee, and for Thee. Come, Holy Ghost, make my body Thy temple. Come, and abide with me forever. 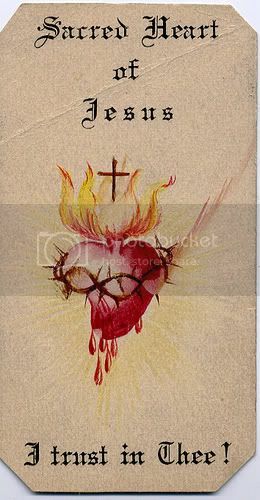 Give me the deepest love for the Sacred Heart of Jesus in order to serve Him with my whole heart, soul, mind and strength. Take possession of all my faculties of body and soul. Regulate all my passions: feelings and emotions. Take possession of my intellect, understanding and will; my memory and imagination. O Holy Spirit of Love, give me an abundance of Thy efficacious graces. Give me the fullness of all the virtues; enrich my faith, strengthen my hope, increase my trust, and inflame my love. Give me the fullness of Thy sevenfold gifts, fruits and beatitudes. Most Holy Trinity, make my soul Thy sanctuary. 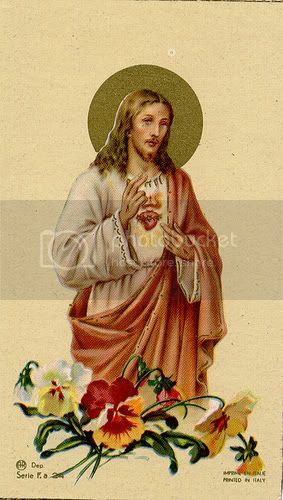 Sacred Heart of Jesus, animated with a desire to repair the outrages unceasingly offered to Thee, we prostrate before Thy throne of mercy, and in the name of all mankind, pledge our love and fidelity to Thee! O Sacred Heart, through Thy powerful grace, may we become Thy apostles in the midst of a corrupted world, and be Thy crown in the kingdom of heaven. R/ Jesus, graciously hear us. R/ for ff: Have mercy on us. Heart of Jesus, Son of the Eternal Father. R/ spare us, O Lord. R/ graciously hear us, O Lord. R/ Make our hearts like unto Thy Heart. Let us pray. Almighty and eternal God, look upon the Heart of Thy most beloved Son and upon the praises and satisfaction which he offers Thee in the name of sinners; and to those who implore Thy mercy, in Thy great goodness, grant forgiveness in the name of the same Jesus Christ, Thy Son, who lives and reigns with Thee forever and ever.